Chris Murray , the original breeder of Teacup Pigs needed 9 years and 24 generations of breeding before he succeeded in getting the pigs to the miniature size that they are today. Teacup Pigs were originally named Pennywell miniatures, named after the farm in Devon, England where the first Teacup Pigs were born. 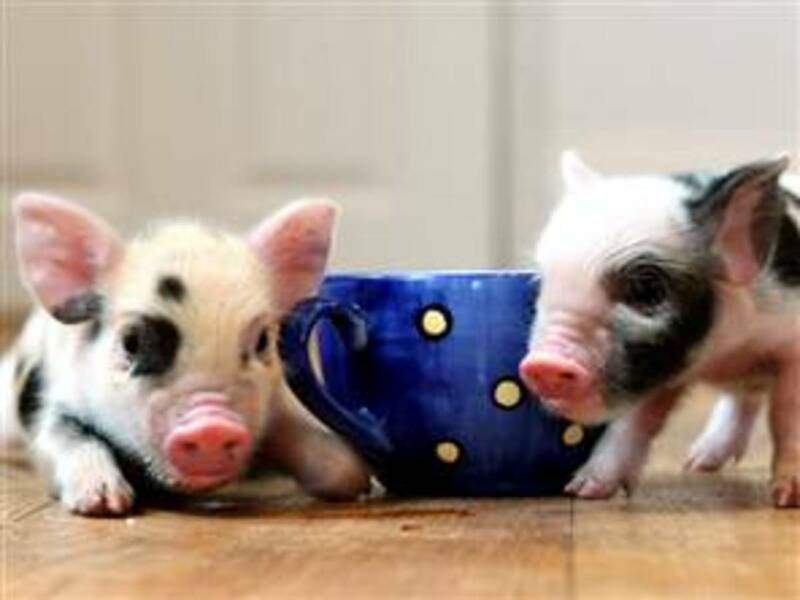 Chris later renamed the Pennywell miniatures Teacup Pigs after he realized that they shared his love for tea, according to the original TV broadcast on BBC news as far back March 2006. Is This New Teacup Pig Pet Craze a Storm in a Teacup? Teacup Pigs are not a storm in a teacup. They are not even pigs in a teacup, except at birth they are so minute they can fit into a teacup, hence their name. At birth Teacup Pigs weigh 9 ounces. One can hardly believe that Teacup Pigs were originally developed from the Kune Kune Pig, a New Zealand breed, which can weigh up to 200 pounds. This new breed of miniatute pigs, which are also called micropigs, are a mixture of those potbellied pigs with the Tamworth, Kune Kune and Gloucester Old Spot breeds. In 2007 the breeding of Teacup Pigs on a farm in Devon England was unveiled and with all the press coverage that this understandably received a new craze swept England with Teacup Pigs being the pet of the year among celebrities. Five months ago Jane Croft was introduced to Teacup Pigs and it changed her life. She was so drawn to these little piglets that she decided to quit her day job and start breeding Teacup Pigs at her Little Pig Farm in England. Her business got a tremendous boost when Rupert Grint bought a pair of Teacup Pigs from Jane. Making headline news this gave Jane the publicity she needed and she is now inundated with inquiries from potential buyers. Jane sells only 5 to 10 piglets a week and is very particular about who she will sell to. Currently there are no official breeders in the United States, according to a recent article on Today, but I'm sure prospective buyers in the States will not have to wait too long before breeders set themselves up for what seems like a lucrative, albeit demanding business. How Big Are Teacup Pigs Really? The high demand for these piglets and the limited supply make them expensive pets, costing up to $1,100 each - and they are usually only sold in pairs. About ten years ago potbelly pigs were the rage but because they get too big to keep in an average residential home their popularity has waned over the past few years. These tiny Teacup Pigs look like they are ready to take over where the potbellies left off. 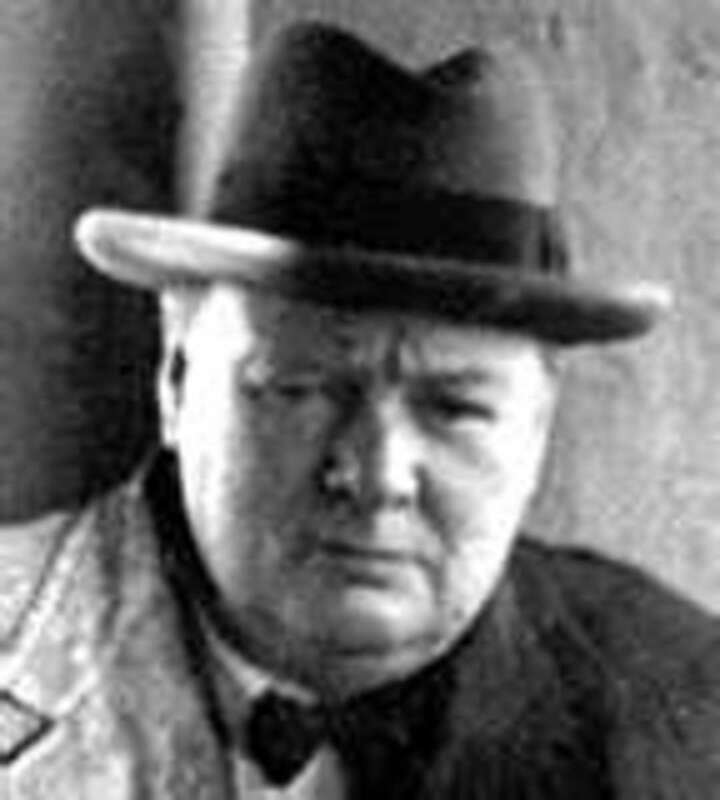 In Great Britain, owners must be licensed to keep livestock, as the pigs are considered to be farm animals. What are Teacup Pigs Like as Pets? 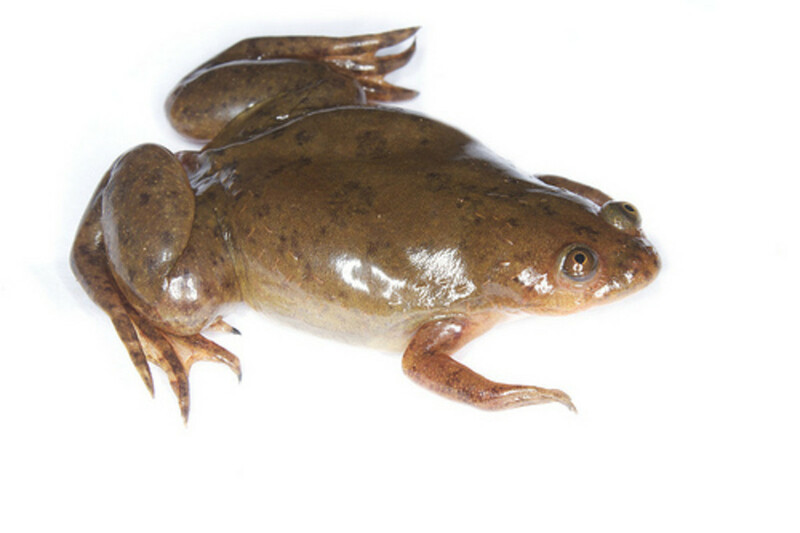 They have a projected lifespan of 15-20 years, and are relatively low maintenance pets, requiring roughly the same amount of daily care as a dog. They are clean and odor free and unlike our dog friends have no fleas. Contrary to what the popular saying "Sweay like a Pig"would lead us to believe, pigs only sweat through their noses, according to Chris Murray the Teacup Pig breeder. They shed very little hair, which would make them a favorite with me. I have two Jack Russells and a Wiemeraner and they shed hair. Teacup pigs are quickly house trained and will use a litter box when indoors. You can train them to do tricks as you would your dog and the bonus is that they cannot bark. Unlike a new puppy Teacup Pigs are non-destructive, although they will eat any food that they can lay their snouts on. They are excellent pets for apartment living because of their small size but they must be walked daily. They should also be taken to an area where they can graze on a daily basis. Instinctively Teacup Pigs tend to root, or dig with their snouts and you will need a soft piece of dirt reserved for this purpose. You may find that without a designated area he will start to dig up your entire garden. They are low maintenance if properly looked after and should not require more than an annual visit to the vet. Their food intake, if properly rationed, will not cost a fortune. They are a suitable choice as pets for people with allergies to cats and dogs as very few people show an allergy towards these pigs. This is probably due to the fact that Teacup Pigs have hair and not fur. They are friendly and affectionate and are said to be more intelligent than dogs, but this is debatable and sure to get a lot of dog-owners backs up. They are fourth in line when it comes to I.Q. with only humans, primates and dolphins/whales having a higher I.Q. than pigs. In many countries you need special permission to own a pet pig and you must first make sure that your local vet has the necessary knowledge to treat Teacup Pigs. They can become spoiled and manipulative, as many cats and dogs can. Teacup pigs will require a lot of time and energy as they are prone to laziness and can become aggressive if not exercised daily. To ensure that your pig does not gain excessive weight and to let them get rid of excess energy they should be taken on a daily leash-led walk. They need company and should not be left alone at home for prolonged periods of time. Teacup Pigs need a garden that they can play in and they generally tend to get along well with the other pets in the home. Pigs should never be reprimanded by being physically punished but just like children they need to be taught who calls the shots especially in circumstances where they will challenge your authority. They do however take kindly to positive reinforcement and should be given special treats when they accomplish something. Be consistent in your behavior towards your little pig friend. The entire family must reach consensus as to what is and what is not allowed and these rules must never be broken. A Teacup Pig will squeal incessantly if they know that you will give in to their demands. Never give a squealing piglet food. Wait until they have stopped squealing or you will find that you have a naughty little pig on your hands (exactly the same as small children). What Will You Need Feed Your Teacup Pig? Teacup Pigs should not be overfed - they will eat anything that they can get hold of and because they do not have a thalamus always think they are hungry. Overfeeding a Teacup Pig happens all too easily. This is extremely dangerous and can have a detrimental effect on their general well being and even cause their premature death. 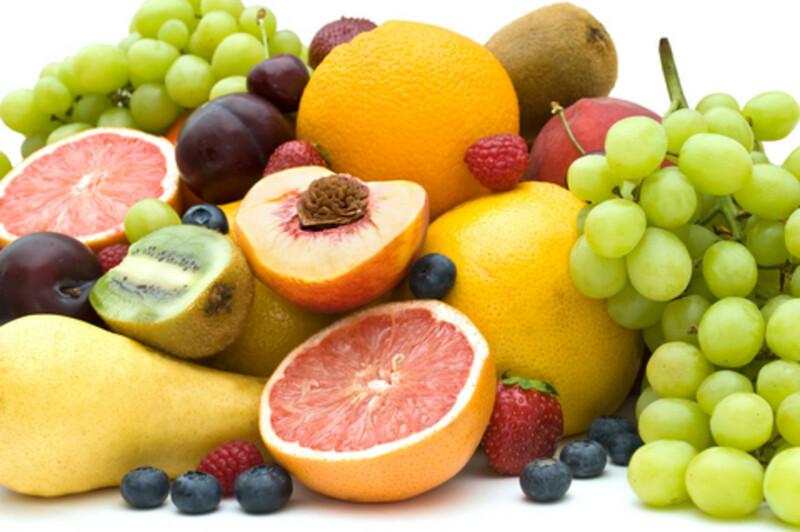 Feed them fresh vegetables and a limited intake of fruit. 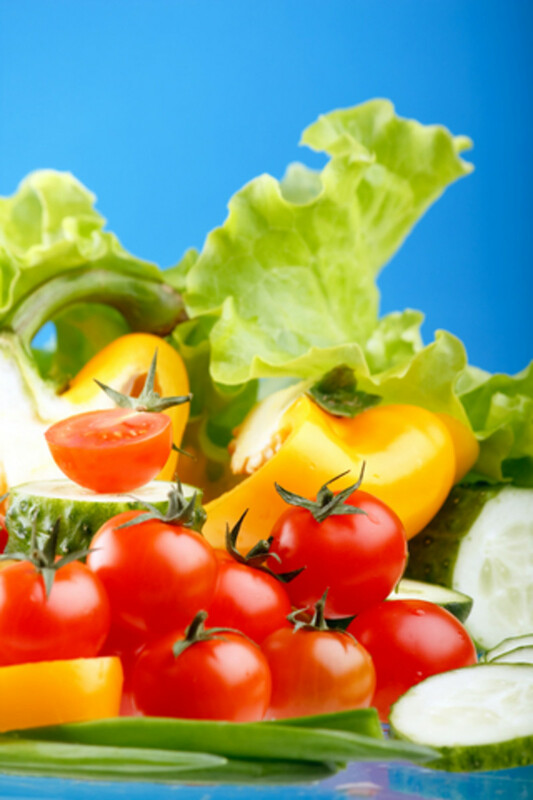 Vegetables should represent 25% of their daily intake and ideally consist of cucumbers, limited amount of potatoes, celery, peppers and some green vegetables. Reserve the fruit ( their favorite being grapes, apples and raisins) for treats. Do not feed them cheese meats and salty snacks. They will not do well on dog or cat food and care should be taken that they do not have access to these pet's food. There is specially formulated pig food on the market and this should be rationed according to the manufacturers instructions. Special treats that can be given to your Teacup Pig are unbuttered, unsalted popcorn, unflavored natural cereals or crackers. You can check to see whether you pig is eating the correct amount of food by placing your finger on the pig's backbone above the hips. You should not be able to see backbone through the skin but neither should you need to search for it under layers of fat. Teacup Pigs should have short legs, a pronounced potbelly and swayed back. Their ears should be erect and small and their tails straight. Their noses should be short to medium length in proportion to their head and their length should be in proportion to their height. Check to see that the piglet has no obvious genetic defect and that it does not appear to be malnourished. Some of the teacup pigs have wrinkles on their skin but the absence of wrinkles is perfectly normal. It is recommended that you only buy Teacup Pigs from registered breeders as these are people who have the breeds interests at heart and you will stand a far better chance of getting a healthy happy piglet. Before making a final decision visit the seller and watch the piglets interacting with each other. Think carefully before you make your final decision. Will a Teacup Pig Fit In With Your Lifestyle? Teacup Pigs will need to be protected from dogs that they are not familiar with as they do not have the ability to ward off dog attacks. Ideally there should be an outside area fenced off where the pig can play freely and safely. 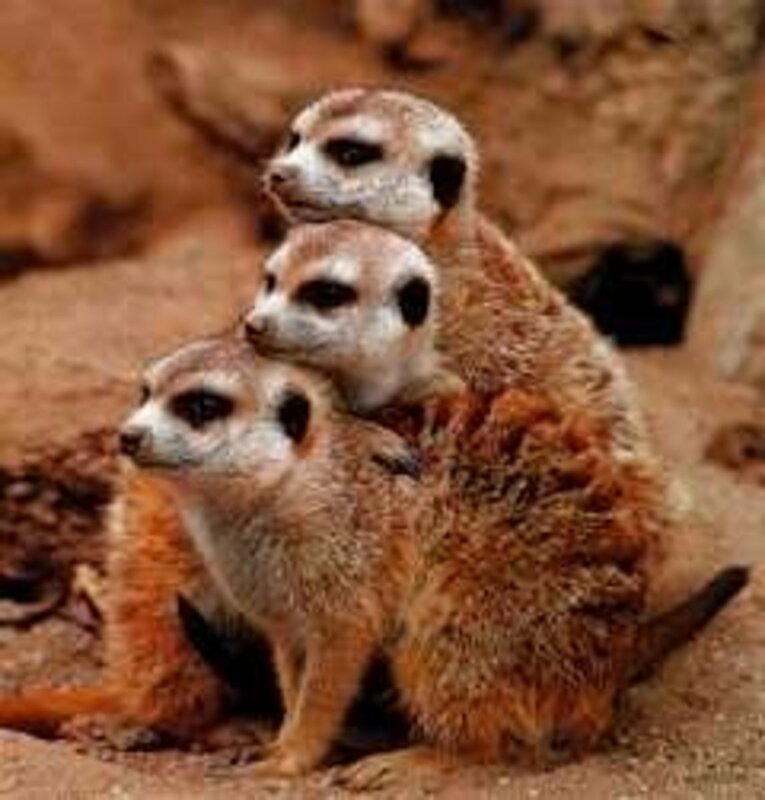 They will need to be protected from extreme weather conditions as they will not be able to survive extreme heat or cold. Much the same as dogs during hot weather you will not be able to leave them in the car while you do your shopping as they will die from the heat. Your Teacup Pig will need to be groomed, her skinned rubbed with oils, her ears cleaned, her tusk cut and her hooves trimmed on a regular basis. Pigs wallow in mud so that the mud forms a protective layer to prevent their skin from burning. Teacup Pigs should be rubbed in with a suntan lotion if they are exposed to the sun for any length of time to prevent them from sunburning. Teacup pigs should be shampooed once a month as more than this will cause her skin to dry out. Ask your local vet for the correct shampoo as cat, dog or baby shampoo will also have a drying effect on her skin. Your Teacup Pig will need a hygienic sleeping area with its own bed or at least a pillow and blanket to sleep on. This should be placed in an area free from drafts. In winter the area should have suitable heating to ensure that the pig is comfortable. In summer make sure that there is a shady area where your pig friend can cool off and they really enjoy playing in a child's wading pool. A very young Teacup Pig can be house trained in a reasonably short time whereas the training of an older pig may require a bit more patience. Your new pet pig may require a little prompting from you in the beginning until he realizes where he is expected to go to the toilet. 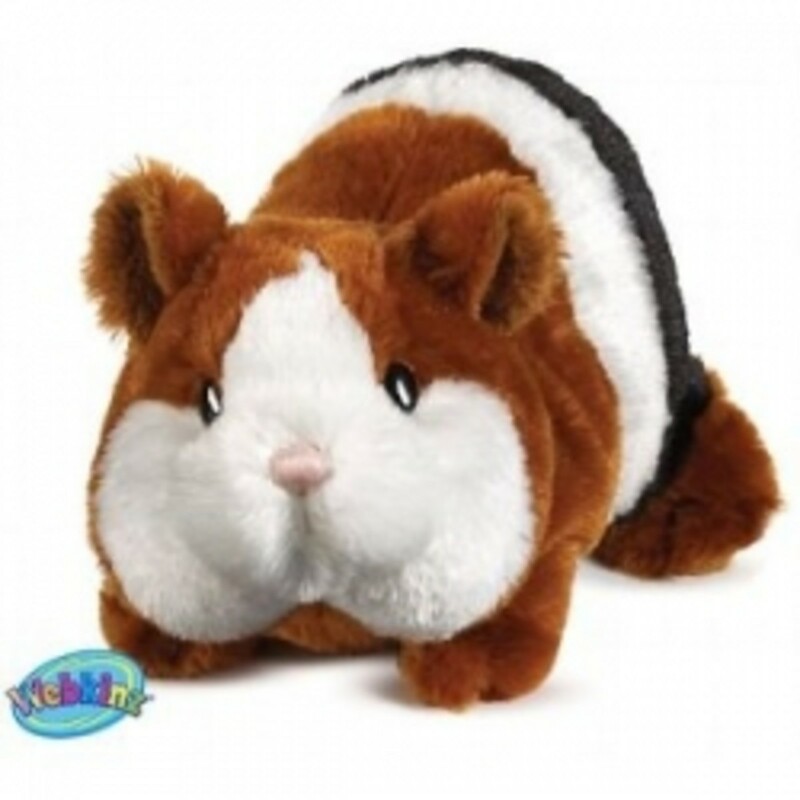 A cat litter box is not suitable for your pet pig as they are too shallow and too small. An old drawer lined with plastic will better serve the purpose. Place pine shavings or pine pellets into the box and avoid clumping cat litter as this could cause intestinal problems if your Teacup Pig decides to eat this. Keep the litter box in the same place, not too close to his sleeping quarters. If your pet pig does an accident in the first few days take his droppings to the litter box and guide him to the litter box. Do not remove all the droppings every day until the pig is house-trained. This will help him to associate the litter box with his toilet routine. Rupert Grint, star from "Harry Potter" made headlines recently when he became the proud owner of a pair of Teacup Pigs that he purchased from Jane Croft, the well-known Teacup Pig breeder from Britain. Now Paris Hilton has just become the owner of a fully grown Teacup Pig named "Miss Piglet". Apparently the price tag on this Teacup Pig was $4,500. According to recent news reports People for the Ethical Treatment of Animals(PETA), an animal rights organization based in Norfolk, Virginia objects to Paris Hilton becoming the owner of a Teacup Pig. If there is any truth in this then it looks as if Teacup Pigs will be the next status symbol among the rich and famous. Let's just hope that they give them the kind of life that they deserve. David and Victoria Beckham have also joined the list of celebrities that have recently become the proud owners of Teacup Pigs. They recently bought a pair at a price exceeding $2000. 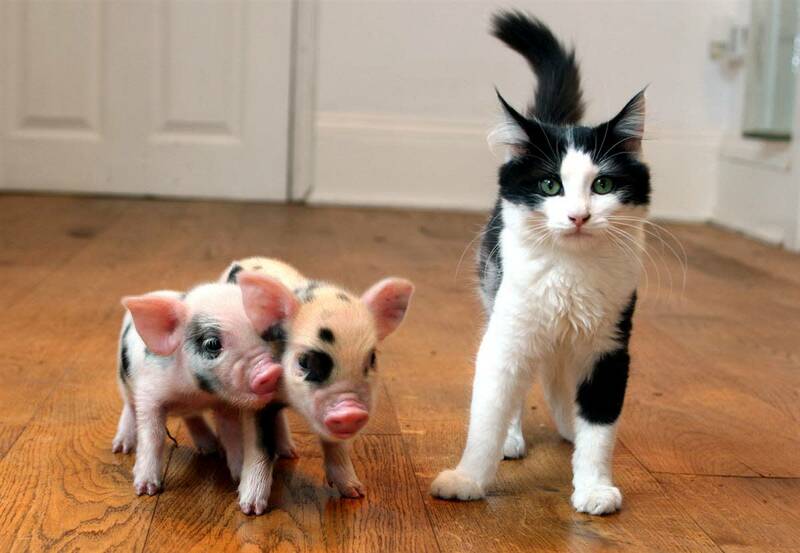 Itty bitty piggies are the new pet craze in the UK. But can you get one here? For owners of teacup pigs. Check out these cute little piggies. A teacup pig is the same as a micro-mini pig or potbellied pig. The owner of Potbelly Pigs USA disclosed that not only are miniature pigs available in the USA but their micro pigs are smaller than those sold by Jane Croft. Andreas Georgiades has been selling these pigs for the past three years. These pigs are Juliana (or Painted Miniature Pigs) and apparently only weigh 15 - 30 pounds and average 10 - 16 inches when fully grown. 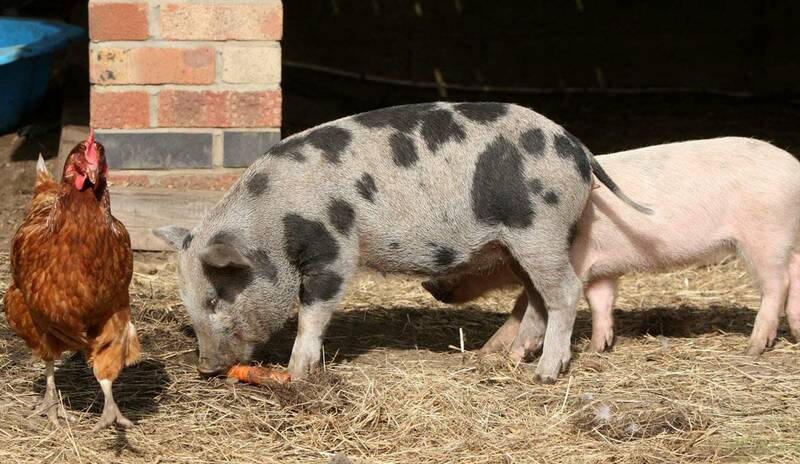 The Juliana Pigs originated in Europe and are the results of cross breeding of multiple breeds. They vary in color and can be black, black and white or a mixture of red and either white or black. In a recent news report Yvonne McIntosh, an animal care manager for Best Friends who is an expert on potbellied pigs expressed her concerns about the new craze in "Teacup Pigs". It is her opinion that mini pigs of such minute sizes do not exist and that a few years down the line these pigs will end up in already over-full pig sanctuaries. According to this report pigs only reach maturity at about 5 years of age and the pig parents that are shown in the media are less than 2 years old. McIntosh urges all people who are considering purchasing a "Teacup Pig" to do their homework before doing so. The chief vet for North Wales Dafyd Pugh advised people not to regard pigs as family pets as this could spark a major animal disease in the hands of irresponsible owners. He also warned people that there are a lot of obligations that come with owning a pig and that many of the potential owners are unaware of what this entails. Apparently owners need to apply for a walking license to walk pigs in a residential area and the exact route need to be approved. Things that are taken into consideration when granting the approval are the proximity of fast food units, pig units and markets. Furthermore owners need to have a self declaration license to move pigs and their movement is subject to 20-day standstill orders on other pigs or a six-day standstill on any cattle sheep or goats. These rules applicable in North Wales and if you are considering purchasing a Teacup Pig it is recommended that you determine what laws are applicable in your area. Now that you have heard both sides of the story maybe its time to reconsider buying a real Teacup Pig and opt for a toy. In a few years time when there is more certainty as to whether Teacup Pigs do in fact only grow to the size of a cocker spaniel and only weigh 65 pounds when fully grown then you can decide whether a Teacup Pig is the ideal pet for your family. In the meantime you may want to purchase a Teacup Piggy toy or two for your children. It’s not the real thing but it may be a wiser choice considering the uncertainty surrounding the real size of adult Teacup Pigs. They are so small! This is such an interesting post! Hi Sweeneyjay. I have no idea where you would be able to purchase a teacup pig in Indonesia. The best place to start looking would most likely be your local vet or newspaper. Hope you find a teacup pig and that you are allowed to keep one in your area. All the information is in the article. Teacup pig breeders claim that teacup pigs are about the size of a medium sized dog when they are fully grown yet others dispute this and say they are much larger. I have never owned a teacup pig and therefore have to rely on what I found when researching the subject. I suggest you visit sites that sell teacup pigs and see if they can assist you. Good luck! One of my best friends actually have one and it is the cutest little intelligent thing i have ever come across. I would like to get one one i get an apartment if they are allowed. We live in Cape Town Danny and my daughter bought a little teacup piggy from teenytiny pigs in Somerset West which are apparently legitimate breeders of the teacup pigs. We've only had her for just over a week and every day she has become more assertive and now rather demanding! At first we were so worried because she hardly ventured out of her little box but that has all changed! I see you said that a screaming pig must never be fed and that's the very mistake I've made and will have to change. All my fault - my daughter warned me but little piggy makes a beeline for the kitchen where I am normally preparing food and she demands! Yesterday it was a nice day so I locked her outide whenever I was in the kitchen but today it rained the whole day so she was inside. I must say, she's very cute and eats into your heart, but hard work! If someone could send me info on where to find a chris murray teacup piglet in south Africa and mail me at danny@healthcareer.co.za I will really appreciate it. Thanks. I live in Western Kentucky. I have a small fenced in back yard (but big enough that he has plenty of room to run) the mushrooms are just in a small area, maybe a foot by a foot. I don't know of a pig sanctuary in my area. He also has a skin bacteria that I have been treating for a month and a half with anti-fungal shampoo and a spray that the vet gave me. I can't seem to shake it. Any thoughts on this? Thank you so much for the help. I suggest you contact a pig sanctuary in your area as I am sure that they will be able to give you better advice regarding both the play area and the mushrooms. The play area would depend largely on the size of ground available and their are so many varieties of mushrooms that it is impossible to tell whether they could be harmful or not. You also do not mention where in the world you live so I can not even give you the name of a pig sanctuary in your area. Hope you get the advice you are looking for from someone with a good knowledge of Juliana pigs. Hi. I have a 4 1/2 month old juliana pig. His name is Piglet, he weighs in at 5lbs. He is very smart and does many tricks. He is leash trained and house broken. Piglet lives indoors and is very much part of the family. I am wanting to build him an area in the back yard where he can route and play. I'm not sure how to go about this. Any suggestions would be greatly appreciated. Also we have little mushrooms growing in the yard and he loves to eat them. However I'm afraid they are not good for him do I don't let him. Are the mushrooms ok for him to eat? Thanks for your very informative and worthy contribution. I would really appreciate it very much if you could keep us all posted on her weight, habits, health and any other interesting bits of news that you would like to share with us. Wishing you and miss piggy sue a long and happy relationship. This is my first Juliana piglet and she's so darn cute!,, she is now 4 1/2 mths old weighing in at 19 pds which I am getting nervous about, I had 2 other potbellieds they were weighing in at 200pds at 2 yrs old.".. I have been very conscientious about her feedings, and training of her..pigs are very smart! She was litter box trained in a few days and I have videos of her training progress online....which she caught on to, in just a few training sessions...I am praying my piggy stays smaller then my others, she is an awesome pet, I also have 4 dogs, 2 goats, chickens and 4 horses...miss piggy sue is still too small to introduce to the other animals, she is living in the house and is very respectful, but do watch your dogs with a piggy and they are very sociable and need companionship, and in turn, they can be your best buddy, they do get their feeling hurt easily... You only have to correct them once or twice til they catch on, not like dogs... They do ,do what you tell them and you must be consistent... I'll let you know how her weight progress is coming... I did buy my pig from Andreas georgiadas in I'll. I will keep you posted on her size and progress, her tricks are impressive so far! You must be more persistent then they can be and stick to it! If interested in my past history with pigs google. "hinsdale pig lady". My email sun4 u@ aol.com. I think these lil guys are to cute!! If only I could afford one id have many, the kids an I would love them! :( Maybe one day..
Tivanoff I really do not know how big they get. If you read the hub from start to finish you wuill read that I also reported that some people say that there is no such thing as a teacup pig whilst others claim there is. Onkly time will tell so I advise you to wait a year or two and see what does in fact happen with the pigs that are currently sold as Teacup Pigs. 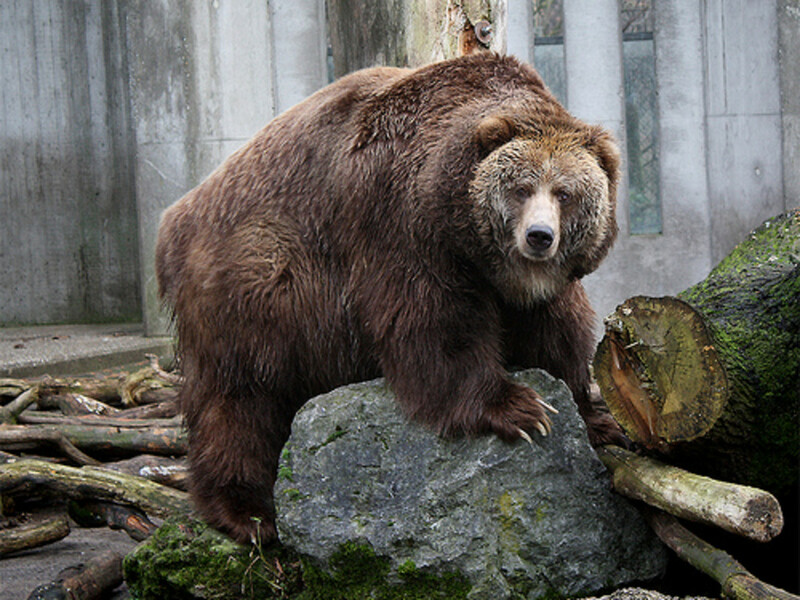 i really want one, but all the sites iv read all say they get to be 100 pounds and more. how big do they get within 4 years? Omg I read this whole things to my parents... It's a really good teacup pig site! We are going to go look at pigs in a coupl days! where can i buy one in TORONTO!!!!!!!!!!!!!!???????????? Thanks Laura. your hub has score 100 and truly deserve it.I like pics and videos.nice presentation.voted up! Glad you enjoyed the hub Paddy. Maybe it's a good thing if you are forced to wait a while. By then we may all know for sure whether the Teacup pigs really do stay small or whether they will eventually grow into pigs that are too large to keep as pets as some of the critics say. 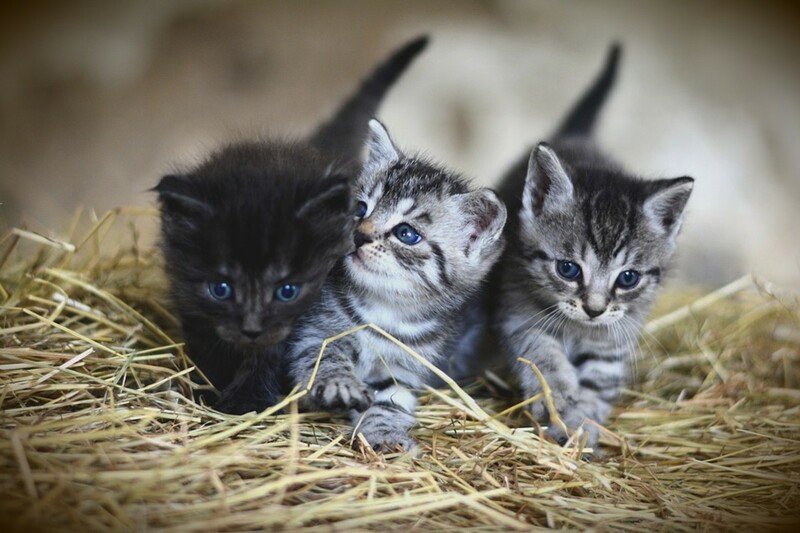 They are about as cute as they can be. I have had a lot of pets in my lifetime, but not one of these. Maybe someday. I really liked this hub. Thanks. The "miniature Juliana Pig" grows to between 12 and 26 pounds. Prices vary from pig to pig and from breeder to breeder. Oh, and also, how big do the "Mini Juliana" pigs grow up to? And how expensive are they? Wow! Thankyou so much for such important and useful information! I've been wanting a tea cup pig for a few months now, but now I'm starting to work out whether that'd be a good idea or not to own one. I live in The Whitsundays, Airlie Beach, right near the Great Barrier Reef. Because of this, it is hard to be able to find a registered breeder of miniature pigs her in Queensland. Closest place is outside of Brisbane, 10 hours away from my hometown (10hrs by car). Anyway, thankyou for a hub! VERY great info! For Sale - 2 castrated Male Miniature Pennywell Pigs. Hi 12 year old, Maybe its a good thing they don't cost less - we would probably end up with a lot of unwanted teacup pigs that were bought without giving proper thought as to whether they have the time and space required to keep teacup pigs as pets. Man, I wish they cost less. Thanks Esme - I think it would be wise to wait a while before buying a Teacup Pig. Best to see how big they become after a couple of years. Their price will probably come down - as most things do, once the initial demand wears down. Thanks for such an interesting hub. I love the teacup piggies. Don't think we could afford to get one but I would if I could! Jesus was a hippy - I am not saying that what you are saying is untrue but are you not confusing teacup pigs with potbelly pigs. I know that they get a lot bigger than what a lot of the owners originally thought they would. Thanks for your input. I am just writing what I have read about teacup pigs and as I neither breed or sell them I welcome any information that will be of value to my readers. These things are a gimmick. I have seen countless news reports about people that bought them and ended up with full size pigs in their house. HOW MUCH MONEY ARE THEY? WHAT IF U HAVE FISH AS WELL???? Awesome!! I want one!! LOL Well, I always have wanted a pig, but never thought I would because they are so big, but these are 'just right'.. LOL Great job! The last paragraph and link in my hub states the exact concerns that you are expressing. This hub is an unbiased and informative article and as I have no interest in selling or promoting the sale of Teacup Pigs I have included the concerns expressed by "Best Friends", an animal welfare society. Everything that you said in your comment is in fact in the last paragraph of the hub. Thanks anyway! Thanks for the comment Bunnykinz and I wish you a long and happy relationship with your teacup pig. Not only are they a lot of money but will also call for a lot of love and patience. Best of luck! They are so cute! I might be getting one next year. Ourlittleflock.com got its permits and is the only breeder of miniature tea cup pigs here in Canada. I can't wait for it! So cute but expensive but worth it! :) Love your page! I found an ad in buybernie,com. You can google it and follow it up if you wish. I have no idea as to whether teacup pigs are actually available in South Africa as yet so I would advise you to make sure that the ad is for genuine teacup pigs and not just very young potbellies. Are these pigs still not available in South Africa? If they are, do you know of any breeder? I had no idea that teacup pigs existed or that it was the latest fad. Thanks for keeping me up-to-date...or at least semi-up-to-date. Haha! Much information in this hub with a great assortment of videos. Rating this useful. taecuppiggies.com - That must be one of the best compliments I have had on this hub! A lot of my information was gathered from your website - thanks for the information and the vote of confidence! Thanks for the info gecko_boy. There are various opinions on the exact size of a full-grown teacup pig. I am constantly searching the web on articles about the teacup pigs. As a breeder I like to keep up with everything said about them. I want you to know that you have one of if not the best presentation about the little piggies. Kudo's to you. Thanks Research Analyst, ashlov8, nosense and Zannie10. Glad you enjoyed my hub on Teacup Pigs. This was one of the most fascinating hubs to write so I'm really glad that you enjoyed reading it. Wow!didn't know there's teacup pigs now. I just know teacup dogs but not pigs. There so cute and adorable. Nice hub. I have never seen anything like it - they are so cute - pigglets that don't grow up. I do have one question, in the article you mentioned that they are normally sold only in pairs - why is that and is their an issue of someone only bought one? Thanks for the comments lender and Lady Emmy. Really gflad I could enlighten you about teacup pigs. How ADORABLE!!!!! I've wanted a pig since I was a kid, and now I find out they come in pet size!!! How CUTE!!! I really wish they were more accessible in the U.S., but I guess it wouldn't matter anyway since they're so far out of my price range right now. But maybe someday! Thanks for such an AWESOME (and adorable!) hub! That's just crazy! I never even knew there was such a thing. Great article! Amazing, sweet, adorable. I never heard of these tiny pigs! i love pigs and wish I could afford one. Thatnk you I enjoyed the videos, as well as the intelligent writing on the subject. You covered it all. So cute! I have two ShihTzu pups who would just love a new friend!! I agree itcili Thanks for stopping by. i have never ever seen pigs that look so cute.they are lovely. Great hub! Unfortunately for the pigs, all pigs, so many will be bought, and so many will be abandoned. I had a potbelly pig for 19 years, and worked with many rescue organizations back in the early 1990s when the potbelly craze started and then ended very soon afterwards. While I am a pig lover, they are not for everyone. They're nothing like dogs, cats or even ferrets, they are pigs. They do not chew things up, but they can shred furniture and carpets like they were made of hot butter. Pigs have tusks, in the males they are far more dominant, and they break off at intervals. Pigs have hooves that need to be trimmed, note that pigs do NOT like having their hooves trimmed. They do not shed, but instead "blow" their coats once a year where every hair on their body falls off in about a two week period usually in the summer. Pigs are easily house trained but do not have full bladder control until they are over 10 months old. Your pig might be fully trained, but turn on a faucet and your pig cannot help but run right along with it. Trying to find a vet, boarding your pig, housing your pig when MOST towns bar them either as farm animals or exotics makes it difficult to own one except in very specific circumstances. Pigs are herd animals, it's better to get two than one. Pigs grow until they are FIVE years old. The average size for the potbelly pigs was around 200lbs. That means that teacups even reduced by 1/2 leaves a 100 lb pet. I love pigs and loved every year I had with mine. I would not get another. They are long lived and life changes mean that you can end up in situations where you cannot take your pig and then? You can't take a pig to the local humane society, there are very few people who want a pig and the pig sanctuaries and rescues are over run and under funded as it is. The very kindest thing you can do is look up your local pig rescue group, visit and spend time with the pigs. Learn all you can and leave a little donation on your way out. The pigs will thank you. Thanks Katelyn Glad you enjoyed the hub. I think everyone wants a Teacup Pig for Christmas! Cutest thing I've ever see! Love all the videos.. I hope teacup pigs come to Canada soon they are too awesome! Great hub! Thanks DeeDee and thanks for sharing it. I must say its one of the hubs I most enjoyed working on! This has got to be one of my most favorite Hubs ever! I have been sharing it all over the place! I can't wait until teacup pigs are available in the USA! They are really cute little guys. cute little suckers they are. I imagine it would be great to wake up with a tiny Teacup Pig in the house. what a great way to start the day - with a smile! thanks for this wonderful hub! Well, I heard about this bread of micropigs on the news in Belgium. I did not know they were called micropigs though. This is great news for piglovers. I used to know a publican who collects china pigs because real pigs are not allowed as pets. As for me, at the moment my pet pig is ... a stuffed toy pig! This breed may also be an alternative for those who keep 'normal size pigs' as pets and consequently get into trouble with the RSPCA or housing associations for doing so. I just love pigs, they are very intelligent and one should be able to have a pet pig provided the pigs are well taken care off. Of course, this goes for all pets! Glad you enjoyed the hub on Teacup Pigs Emie! They are adorable. Hmmmm, I can't believe I missed this hub of yours. At first, I thought these are small tea cups (the ceramic ones) in the shape of pigs! :) Didn't know that such small-sized pigs actually exist. Thanks for featuring these teacup pigs Laura. Thanks Supermom Glad you enjoyed the hub and thanks for rating it up! Loved your hub! My kids love those little cute pigs. I wouldn't mind adding it to my zoo. lol! This just seems like a strange pet to me. But then I do know they are very clean and have fun personalities. We had pigs up until I was 5 and I loved the babies so very much, these have to be twice as sweet. Glad I found your hub, or I would have never known. Good Hub. OMG! I learn something new and interesting everyday. Thanks.